A hip pointer injury can be painful preventing people from doing day-to-day activities. There are a few treatment options offered by doctors. However, unless it is a serious injury, most hip point injuries will heal through conservative treatments. Doctors will only prescribe medications to reduce the pain and help you exercise. 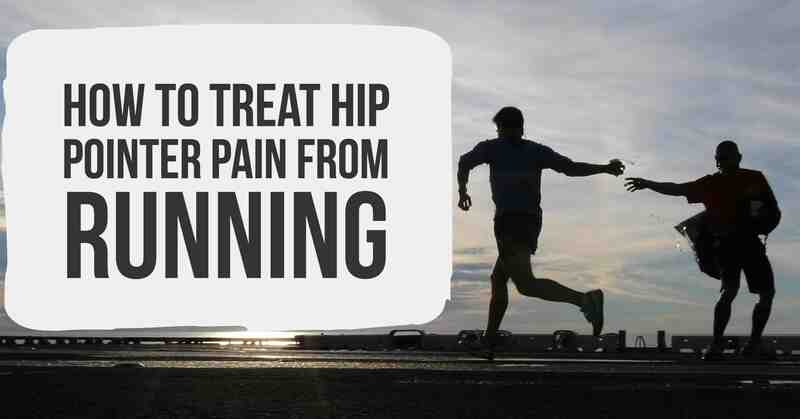 This article covers various ways you can treat hip pointer from running. Dr. Douglas Cutter breaks down what a Hip Pointer is a very short :46 second video. Anybody can get hip pointer injury, but athletes who participate in contact sports are more prone to hip point pains. Footballers are on top of the list, but anybody could suffer from a hip point pain especially runners. Individuals who cycle, ski, play soccer, rudby or hockey are also at risk of getting hip point pain. The first step in treating your hip point pain is to assess the severity and complication of the pain. This is usually done by a doctor who then prescribes anti-inflammatory medicines like ibuprofen. The medicines help reduce the pain making it possible to engage in a wide of range of exercises. A sports massage can be done to help reduce the swelling by an experienced person. The massage aims to loosen the muscles and prevent the buildup of scar tissues. Dr. Maria Madge shares some general ways to manage it and treat it. Dr. Maria Madge is a chiropractor with several years of experience in managing and preventing hip pain and back pains. If your hip pointer pain is not acute, there are several things you can easily do to manage it. Hip point pain can make everything from climbing, walking to bending quite difficult. However, with the following tips from various professionals in the industry, you can easily manage your pain. The hip pointer pain can be very painful, and most doctors recommend icing the area of the pain four to five times a day. Get an ice pack and place on a towel or piece of clothing. Place it where you have the pain. Icing can lower the inflammation and help reduce the pain greatly. The use of ice is a cold therapy that has been used to treat several injuries to the muscles and ligaments. The cold therapy needs to be applied for around ten minutes. This method is very effective in alleviating pain and reducing the swelling or soreness in the affected area. Strengthening your muscles of the inner thighs will offer you some relief from pain. You will need a ball about the size of kickball to perform this exercise. Lie on your back and place the ball between your knees. Try to squeeze the ball with your knees working your thigh muscles. You need to choose a ball the gives in when you squeeze. Pilates ring or a hard pillow will also do just fine. Start the exercise with one set of ten repetitions but increase them as you move along. You can also have a professional do a sports massage to your hips to help relief the pain. According to Epain assist, you must seek medical advice before starting any massage or exercise. Water aerobics and swimming are great exercises for the hip joints. The best workouts when you have hip point pains are those that don’t put pressure on your joints. Working out in water helps strengthen your muscles without adding more pressure to your joints. Swimming is a great exercise not only for the hip pointer pains but also for people with IBS-sensitive bowels according to MD. Aline Charabaty who is an assistant professor of Medicine and Director of the Center for Inflammatory Bowel’s Diseases at Georgetown University Hospital in Washington DC. Lunden from Runtastic gives us some really great pool workouts in the video below. The use of non-steroidal and anti-inflammatory medications known as NSAIDs is great options for treating the hip pointer pains. They are non-addictive and usually sold without the prescription from the doctor. The NSAIDs are divided into two groups and help reduce the pain and the fever caused by the inflammations. The most commonly prescribed and used NSAIDs are the following. Remember to consult with your doctor or medical physician before taking any of these. 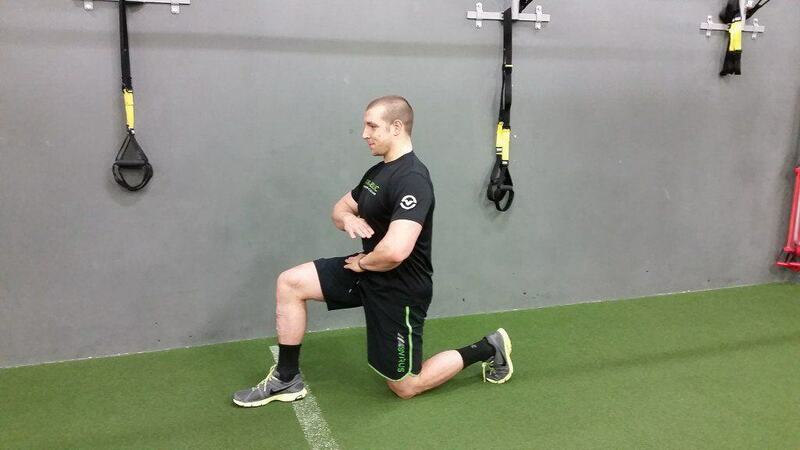 Be in a lunge position with your left leg forward. The right hand should be on the ground to offer you balance. Rotate your trunk with your left arm being high in the sky. Keep the glute contracted. You should be able to feel the impact as you stretch the trunk back and forward. This is another great exercise to work your lower back and mobilize your hips. Put your hands and knees on the ground with shoulders and knees under the hips. Maintain a natural curve but have your belly into your spine. Slowly move your hips backward until you start to feel the pelvis moving. Get back into the starting position and repeat the same procedure again. You should be able to breathe normally as you do this. The leg cradle is an endurance exercise that should help you stretch the outer part of your hips in the front leg and the flexor muscles of the back leg. Stand and ensure your back is in a straight position. Arms should be at your sides and knees unlocked. Start by lifting your right foot in the air and squat it back and down as you stand with the left leg. Next, you need to lift your right knee to the chest supporting it with the left hand under the ankle. The left knee should be as close as possible to the chest as you contract the left glute. Repeat the same procedure for the left leg. The glute activation exercise helps you stretch in the upper thigh and the front of the hip. On a soft mat, kneel halfway with one leg while keeping a slight forward torso. Contract the glute and tighten the core. Maintain the posture and shift the whole body forward. Take a break to relax and repeat the same procedure for both legs. Ensure you avoid excessive arching on your back as you move the body forward. Hip pointer injuries are not career ending as most people might think. They can be treated and managed with proper care. Patients usually take days to weeks to heal completely. 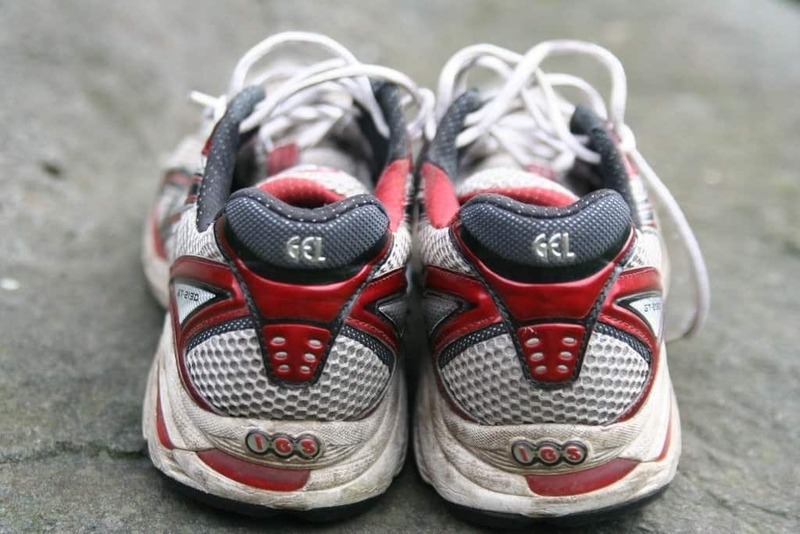 You can run and even participate in certain sports activities without feeling the pain again. A hip pointer injury should not hinder you from performing day-to-day activities. By following the simple treatment plans above, it should be able to heal naturally with a few days to weeks. A few other quick treatments are detailed below in a great video by Sports Rehab Coach.